A GI doctor tells why you may feel that pills are stuck in your throat when you didn’t even swallow any. Ever have that sensation that you can only describe as, “It feels like a few pills are stuck in my throat, but I didn’t even swallow any pills or tablets or anything like that today—not even yesterday!”? “The sensation of something being stuck in your throat, when nothing is actually there, and you haven’t swallowed something recently is called the globus sensation,” says Jay Desai, MD. 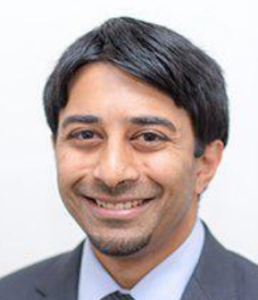 Dr. Desai specializes in colon cancer screening, upper endoscopy and consultative gastroenterology at the New York Gastroenterology Associates. He is available for same-day appointments in their Upper East Side office. If you have a motor (motility) disease of the esophageal muscles, you’ll also experience difficulty passing food through the esophagus. This article strictly relates to the feeling that something like a pill is stuck in your throat—and you do not have any other associated symptoms such as trouble swallowing or difficulty with food going down the esophagus. 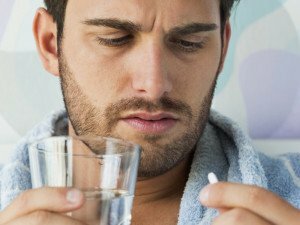 This “pill stuck” feeling in your throat can also be caused by anxiety. There was the case of a middle-aged man who had so much health anxiety that one day, upon reading about symptoms of laryngeal cancer, he began feeling a lump in his throat. There was the case of a middle-aged woman (these fears can also strike younger adults) who thought she tasted blood one morning every time she swallowed. So she kept swallowing at a more frequent rate to “test” to see if the taste of what she thought was blood was still there. All day long she was swallowing more often than usual, and because many of the swallowings were deliberate, they were tense rather than relaxed. As the day wore on she developed globus—a distinct feeling of a little food stuck in the throat. If you have the feeling of a pill (or food) stuck in your throat, even if it comes only when you swallow, you may also want to re-evaluate your recent anxiety levels, which can unconsciously (or consciously, as in the above case) affect how you swallow. Can Nutritional Supplement Pills Irritate the Esophagus? Can Exercise-Induced Acid Reflux Cause LPR?